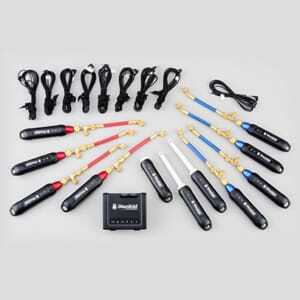 The 916C is our most popular fully wireless single-circuit kit that we offer. 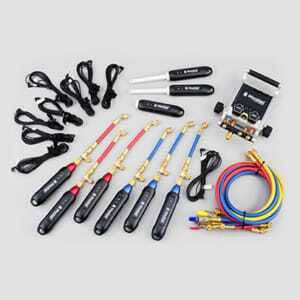 No iManifold needed! 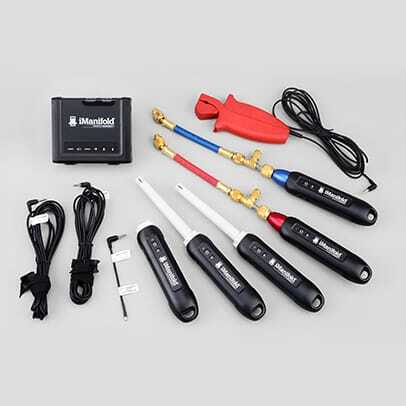 Utilizing both wireless pressure transducers with included access valves and wireless temperature/humidity probes, this kit gives the technician full mobility at the job site without loss of Bluetooth connectivity. 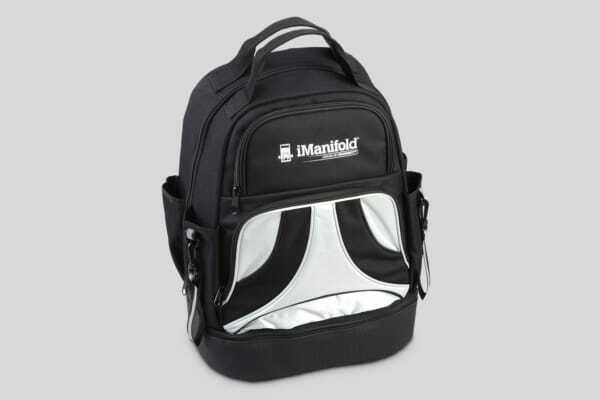 The iConnect sends data via Bluetooth connectivity to your smart device with the Free download of the iManifold app. 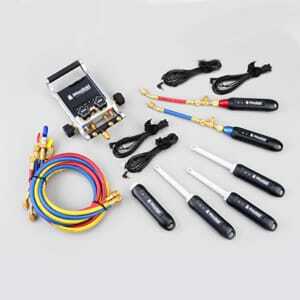 The wireless probes included in this kit utilize Zigbee long-range technology.